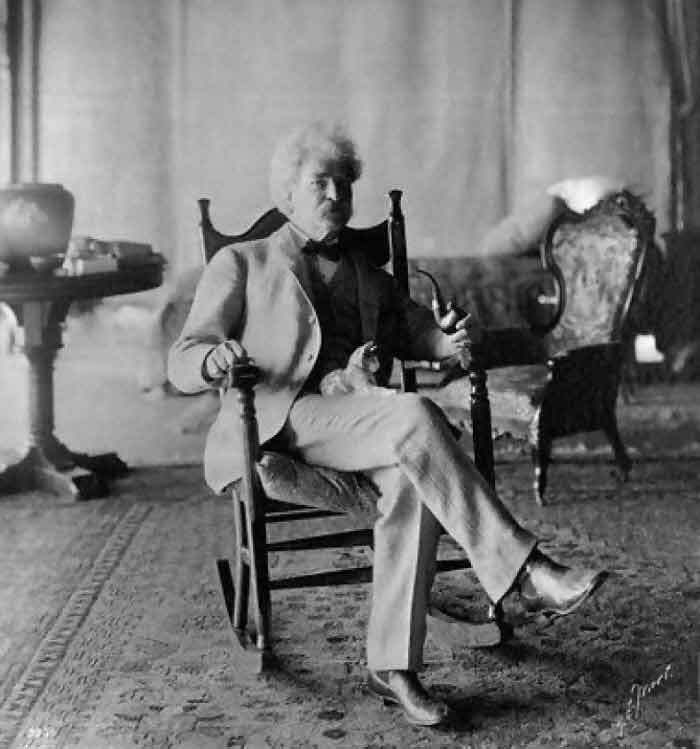 Twain’s real name was Samuel Clemens, he lived a colorful and chaotic life, not unlike the lives of his most famous characters. 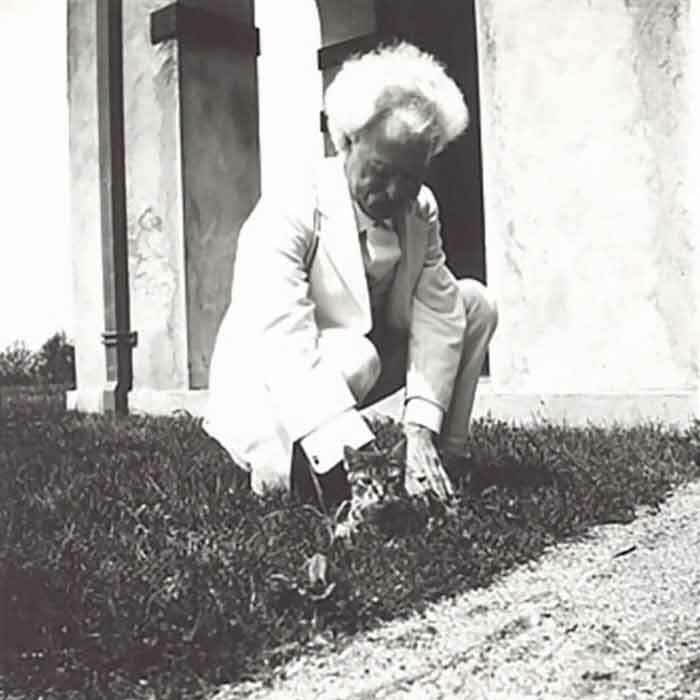 He was born shortly after the appearance of Halley’s Comet in 1835 and predicted that he would “go out with it” as well. 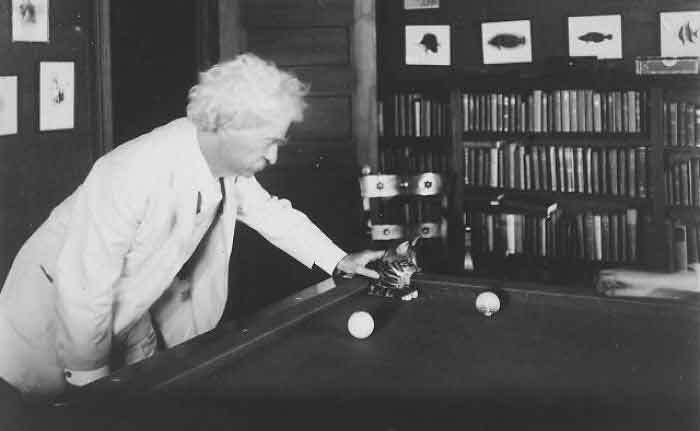 What the amazing was about this statement is that he died the day after the comet returned in 1910. 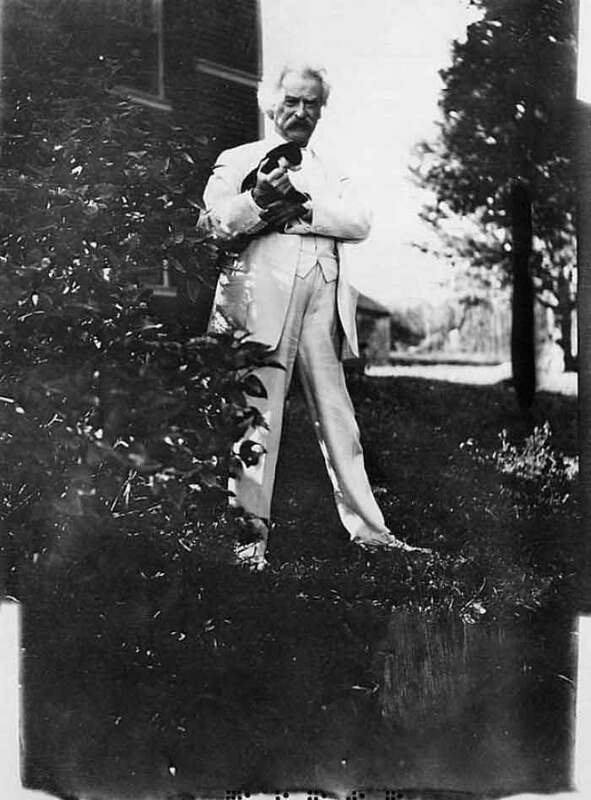 He had lived with around 19 cats throughout various periods of his life and gave them imaginative names like Apollinaris, Beelzebub, Buffalo Bill, Soapy Sal, Pestilence, Satan, Sin, Sour Mash, Tammany, Zoroaster, Blatherskite and Bambino. 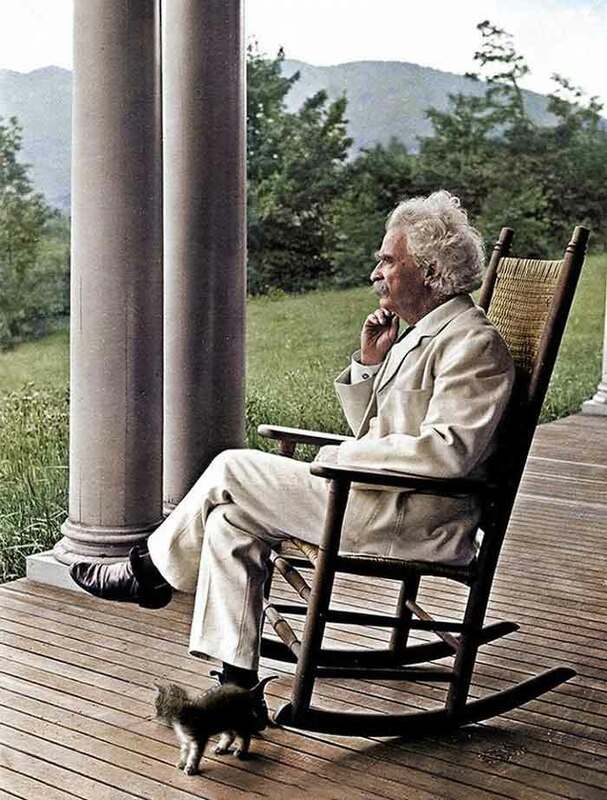 Cats often made appearances in some of his most famous works including “The Adventures of Tom Sawyer,” where we meet a cat named Peter, this well-read book is actually a true story from his childhood. 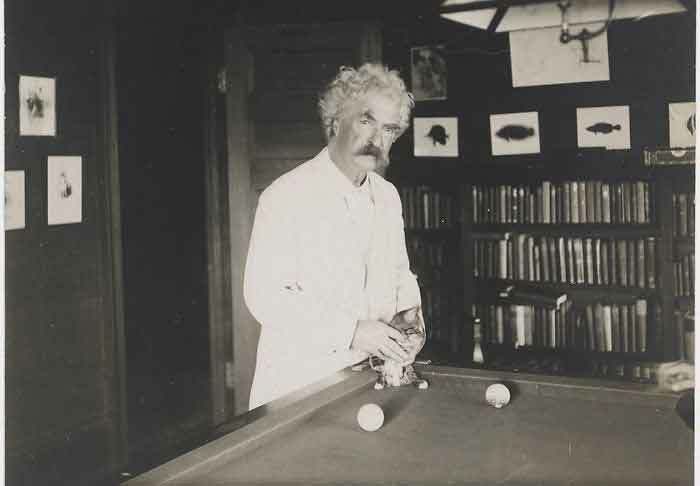 He also wrote a book called “Concerning Cats: Two Tales by Mark Twain,” which was published long after his death in 1910. 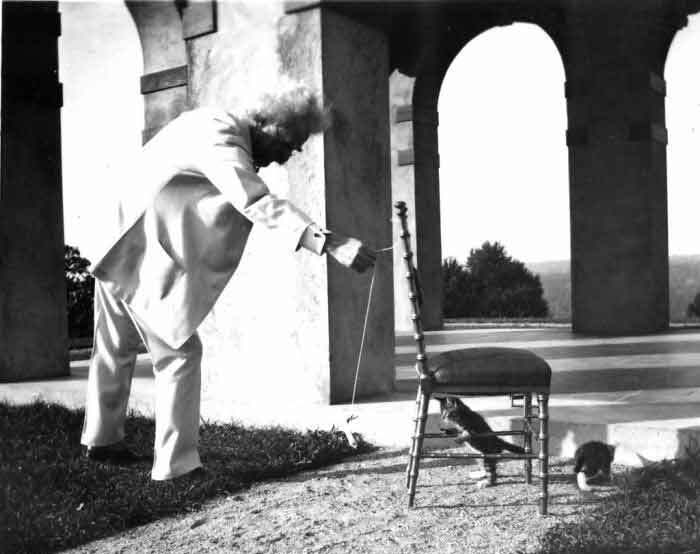 It tells two stories about cats and he used to read it to his daughters to help them fall asleep. 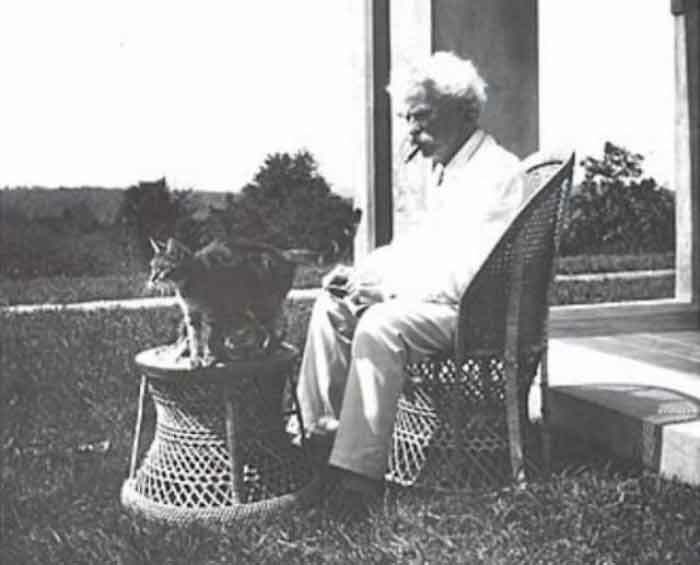 Twain loved being with cats, so much so that he would try and “rent” other people’s kitties when he was on vacation. 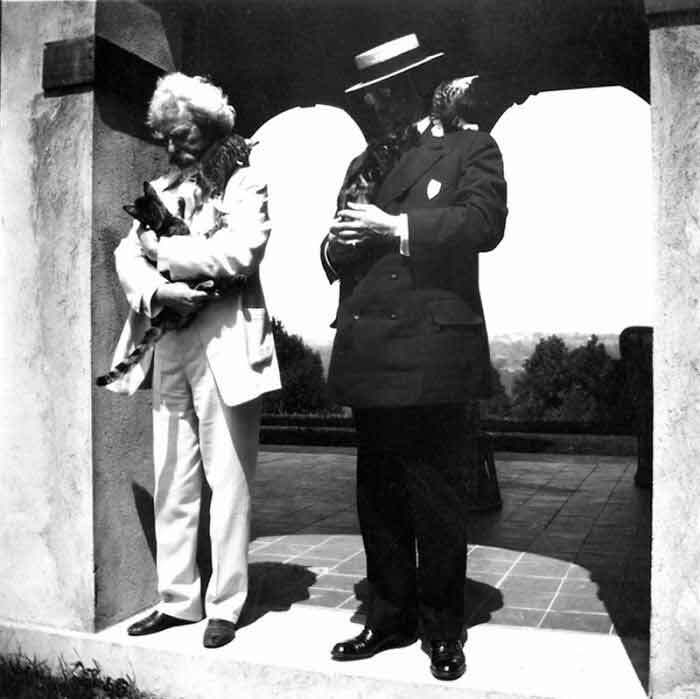 Twain was not the only cat lover in the literary world, giant with a fondness for cats, his fellow 19th and 20th-century American authors Ernest Hemingway, Patricia Highsmith and of course T.S. 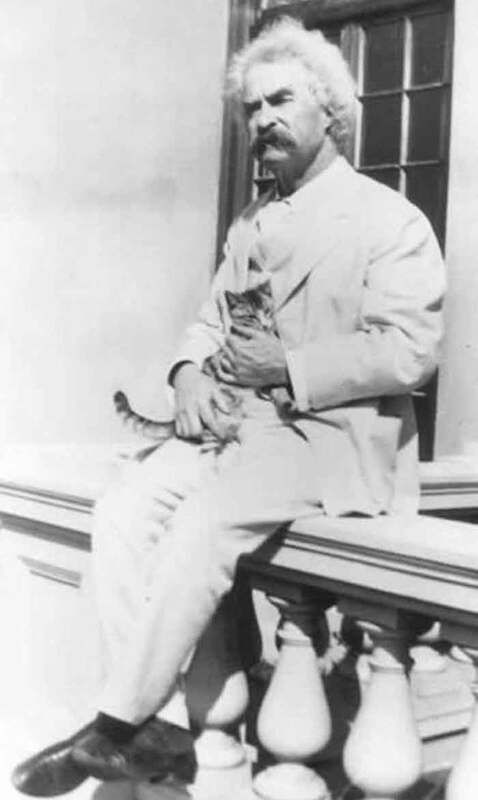 Eliot, all shared his passion for all things feline. 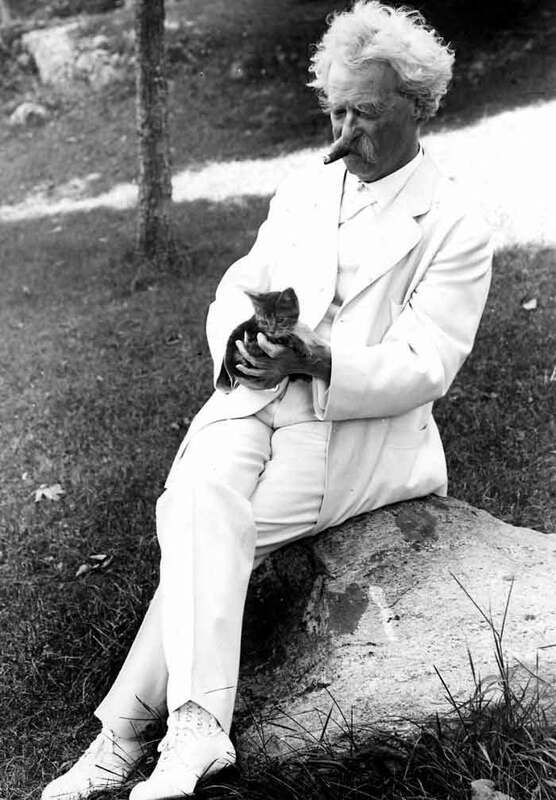 “When a man loves cats, I am his friend and comrade, without further introduction,” he said. 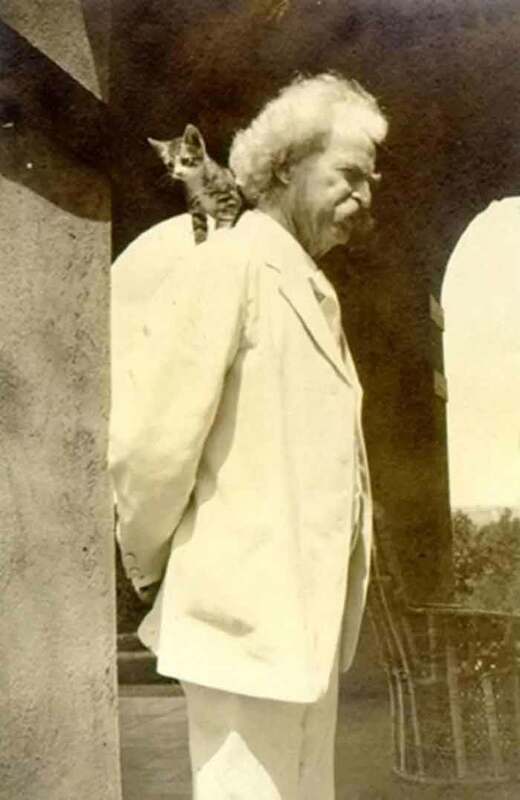 We’ll leave you with a quote from Twain’s 1894 novel “Pudd’nhead Wilson,” a dark story about a master and slave that were switched at birth: “A home without a cat — and a well-fed, well-petted and properly revered cat — may be a perfect home, perhaps, but how can it prove title?” Totally purr-fect! 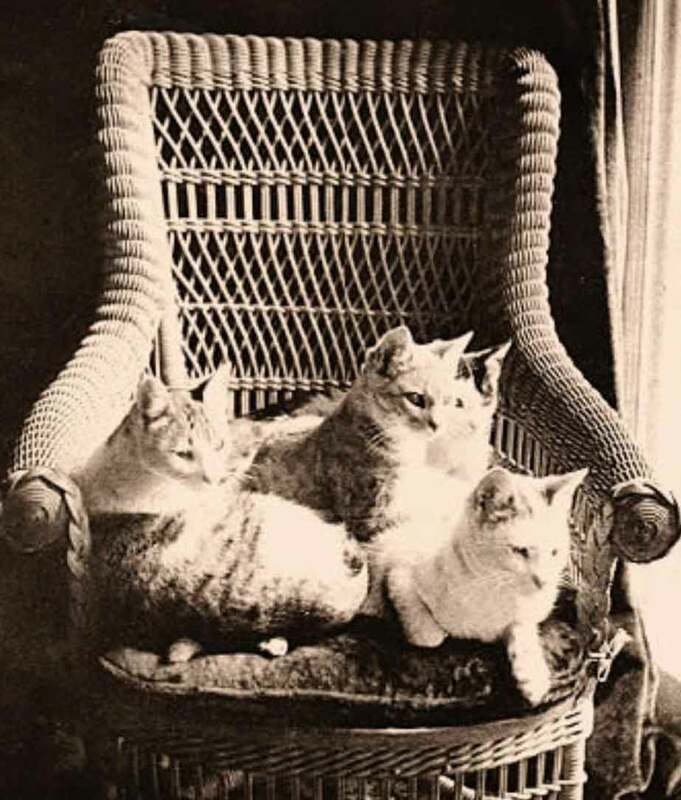 Click here to see a great collection of cats that look like pin-up girls!